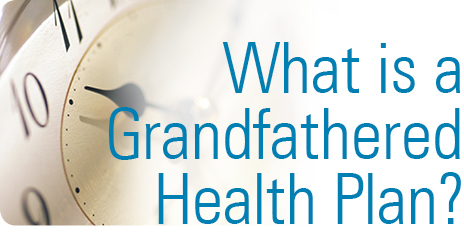 A grandfathered health plan is an insured or self-funded health plan that was in existence on or before March 23, 2010 and that has not made changes since that date that cause it to lose its grandfathered status. Any increase in the employee percentage of co-insurance charges. Increase in an employee co-payment by an amount that exceeds medical inflation plus 15 percentage points (or, if greater, $5 plus medical inflation). Decrease in the employer contribution rate toward the cost of coverage by more than 5 percentage points below the employer contribution rate on March 23, 2010. 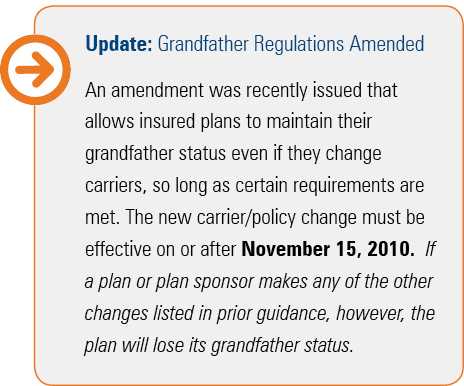 Imposition of new annual limits if the plan did not include them on March 23, 2010, or a decrease in existing annual limits below the lifetime limit. Changing employees to a less generous plan; corporate mergers/sales to avoid compliance. Benefits enrollment can demand significant time and energy from you and your employees. Consider your communications and how you can help employees make the best enrollment decisions. Making favorable changes to a benefits package is also critical to a company’s ability to get an enthusiastic response from employees. Determine what benefits your employees want by conducting employee surveys and focus groups. Chances are you can’t satisfy every request, but you’ll build goodwill through this communication process, and you will be better able to craft a benefits package that is on target with your workforce’s needs. Do this well in advance of open enrollment. 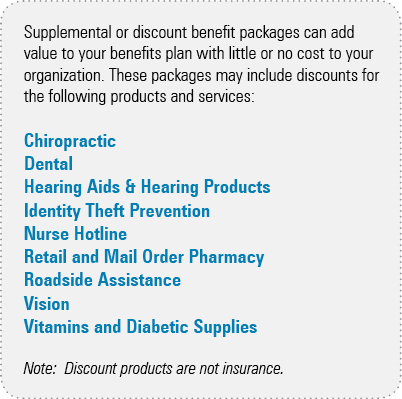 Consider adding benefits you have not offered before. This doesn’t have to be a costly proposition. You can bring in supplemental benefits on an employee-pay-all basis, or add pre-tax flexible spending accounts for health care and/or dependent day care. Employees appreciate when employers make these types of benefits available to them, even if the employer isn’t contributing to the cost. Meeting with your benefits advisor to discuss any changes in your company will help determine if costs can be cut. If your company has experienced a significant change in the number of employees, you may qualify for better pricing on some of your benefits options. If you are currently in an open enrollment period, reviewing your company’s process and communications can also help your open enrollment run more smoothly in future years.